Avishka is the first Rafael Crespo Conservation Intern. 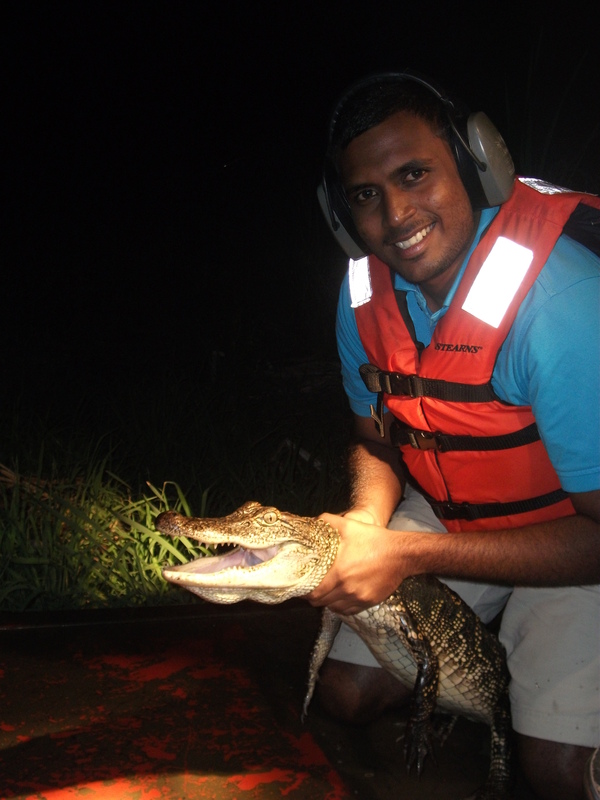 He is currently involved in the CrocDocs's crocodilian monitoring project, where he is learning as much as he can about the Greater Everglades ecology and field research techniques. With this knowledge he will travel back to his home in Sri Lanka and implement his own research program. In his spare time, he tries to see as much of Florida as possible, and observe and photograph native wildlife.